Over the years I’ve read and seen much of the work of this master. 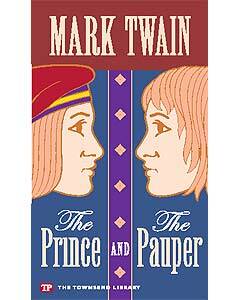 Today, I finished reading The Prince and the Pauper. It was delightful. Written in Old English, the book took some time for me to read as many of the terms were new to me, but it was well worth it. The story centers on a pauper and a prince (the future King Edward VI) who trade places quite by accident. I have seen the movie many times but the book was so much more enlightening and brought home the harsh realities of life during the reign of Henry VIII from the common man’s perspective. The laws Twain writes about are harsh and unbelievably cruel. The real King Edward VI became King of England when he was only nine years old. His reign was very brief. In 1553 he died at the age of 15. What I loved about the book was the way in which Twain makes the future king a pauper in order that he might see the world through the eyes of those he governs. As in all things, we must walk in another’s shoes to know their truths. This book is well worth the reading. Please take a moment to help those in need in Japan. Thank you. This entry was posted in Uncategorized and tagged Books, Mark Twain. Bookmark the permalink.